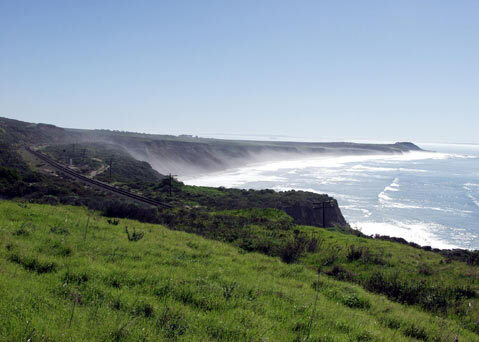 A down-coast view of Bixby Ranch. The distance between Point Conception and Eastern Canada may have just gotten a little closer. While armchair environmentalists throughout the South Coast continue to speculate about what exactly the new owners of Cojo-Jalama Ranch, commonly known as Bixby Ranch, have in store for the historic and sprawling 25,000-acre agricultural compound, word is making its way from Canada about a highly controversial mega-quarry project being proposed on an equally stunning expanse of beloved farmland north of Toronto. At first blush, the connection seems to be little more than a passing formality. After all, Baupost is a massive hedge fund, the 11th largest in the world, and it throws its money around in all variety of ventures. Then, of course, there is the fact that the high-quality limestone that Highland hopes to harvest in Canada likely doesn’t exist around these parts. However, once you start talking to people who stand to be most immediately impacted by Melancthon’s mega-quarry — most of whom are small- to medium-scale lifelong potato farmers — and get the background on what has happened in the time since Baupost first came to their neck of the woods five years ago and this past spring when Highland announced its plans to tear up some 2,300 acres of prime ag land and build the largest quarry in Canadian history, you begin to get an idea about what has Lunsford worried.